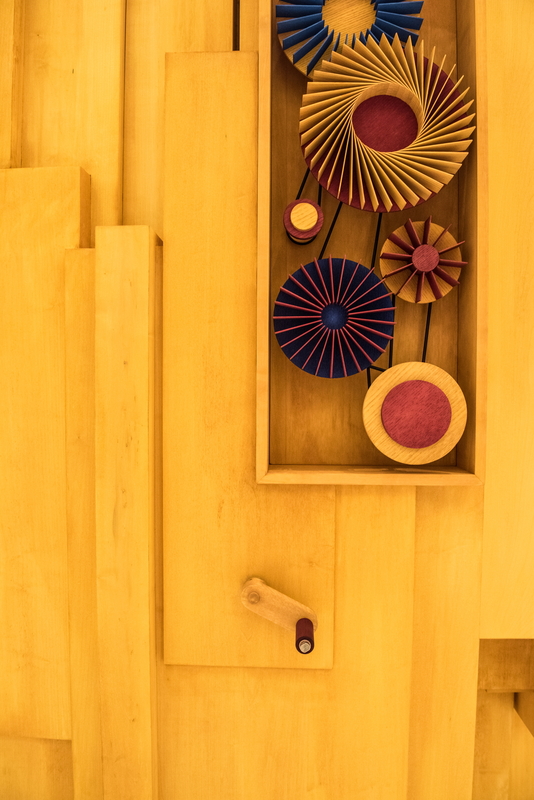 At the heart of the layout, an installation by Dutch artist, Levi Van Veluw offers visitors a chance to share an emotion. 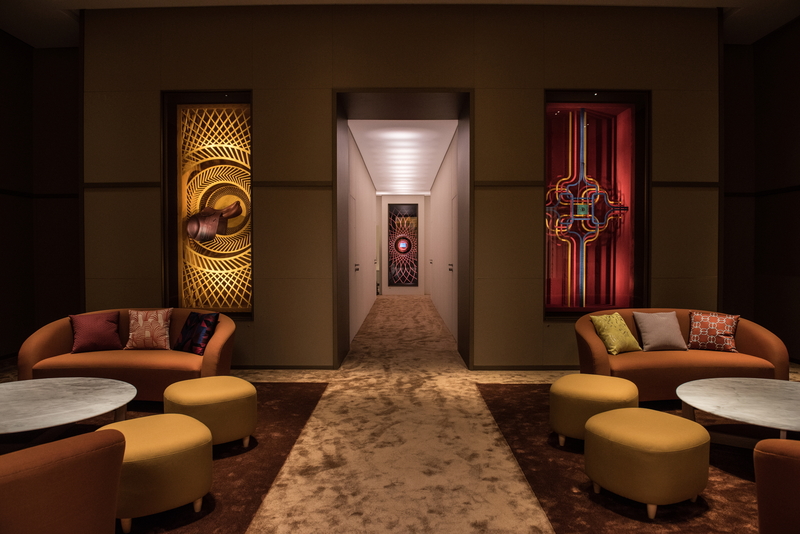 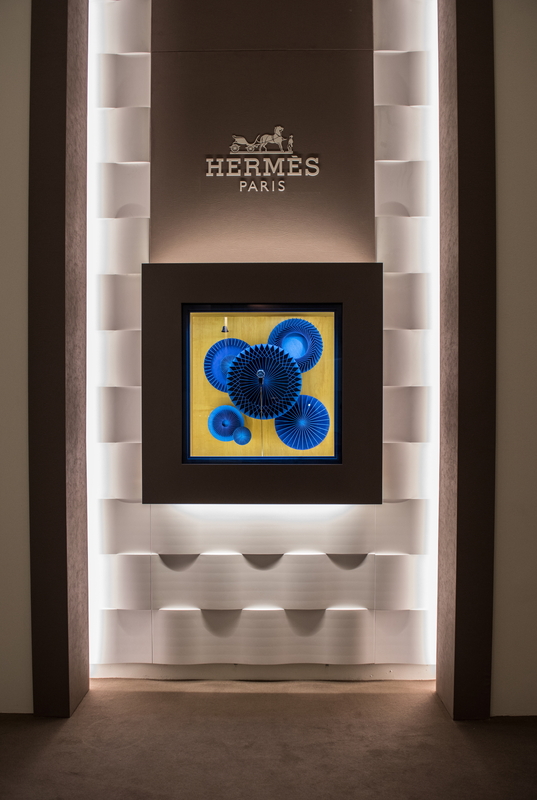 Inside the low-tech square display windows evoking the shape of the famous Hermès silk scarves, he develops nine interactive animations. 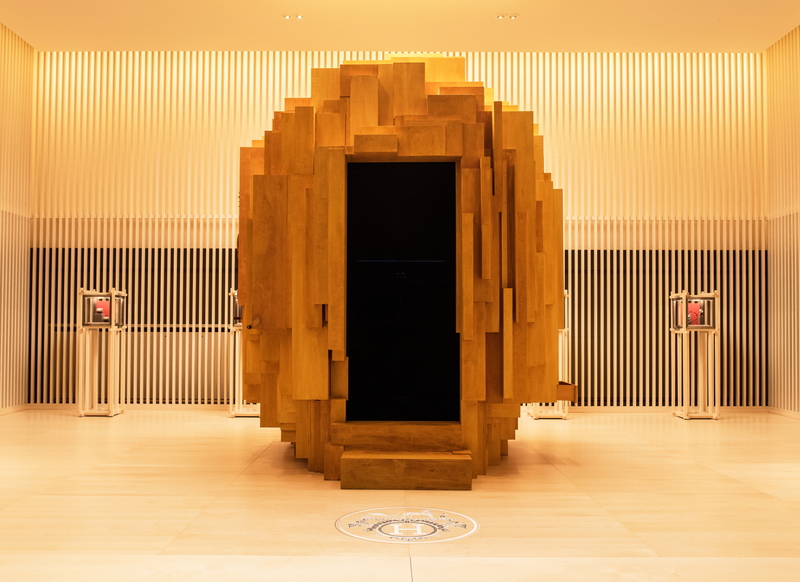 Visitors activate little mechanisms which, via a set of pistons and gears, bring to life a spectacular monolith in the centre of the atrium. 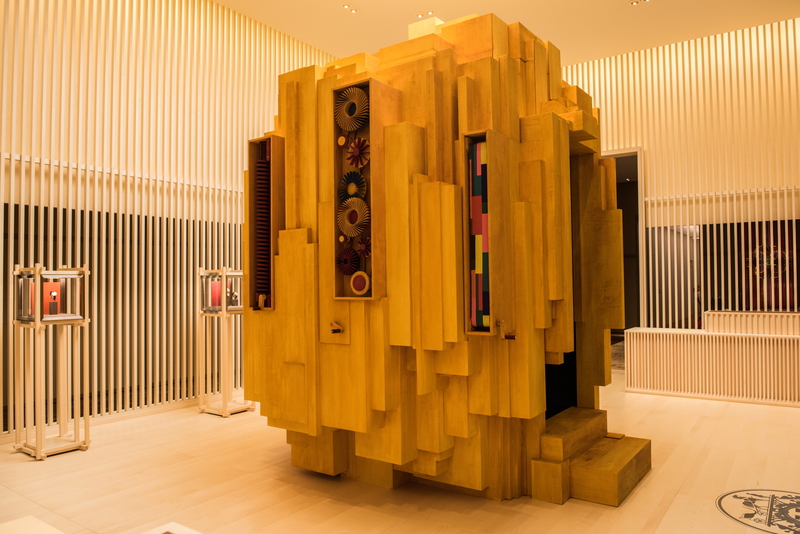 A building machine offering everyone a timeless experience, an emotion-filled journey on the theme of "time, a Hermès object". 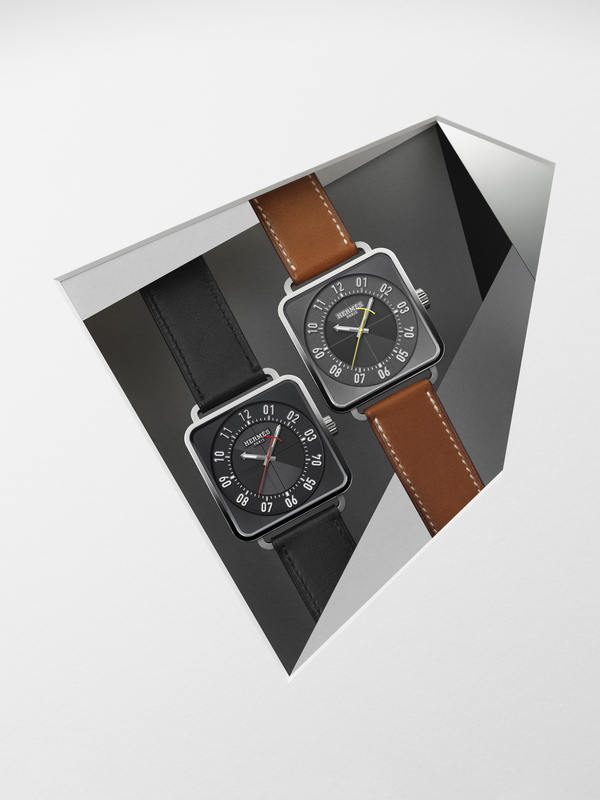 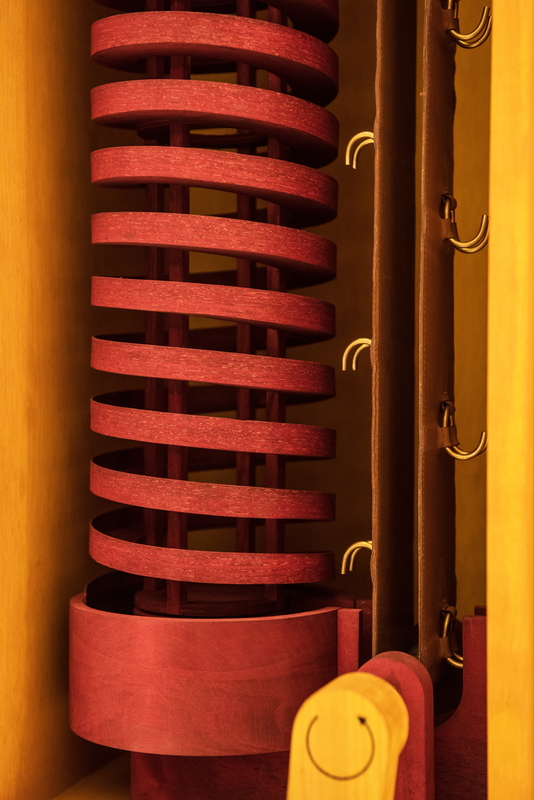 This is because at Hermès, time is also an object. 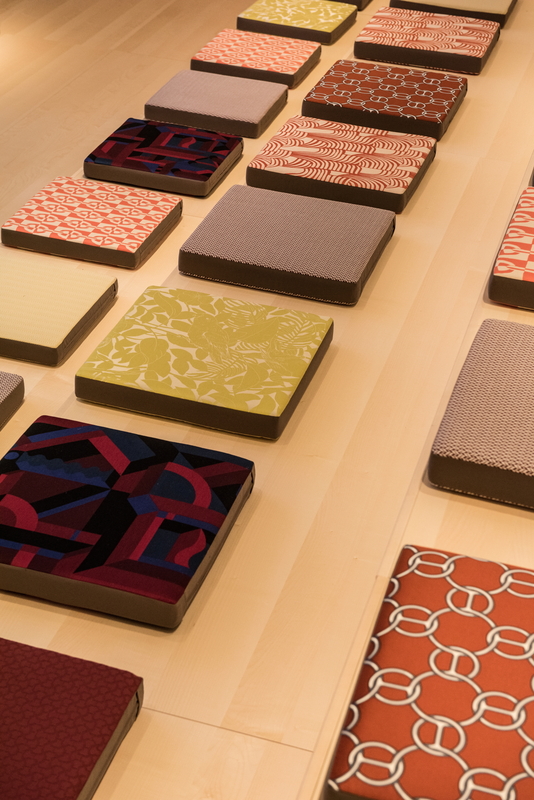 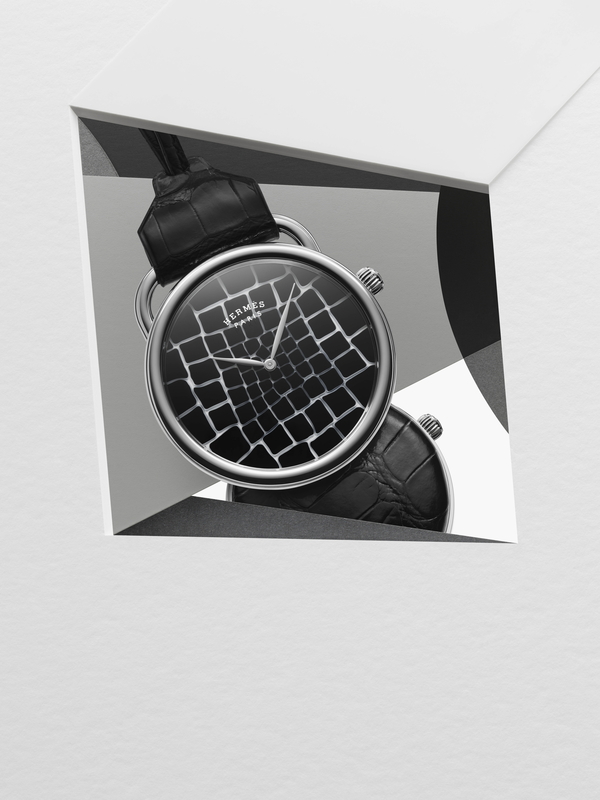 Over and above technical performances which seek to measure, order and control time, Hermès dares to explore another time. 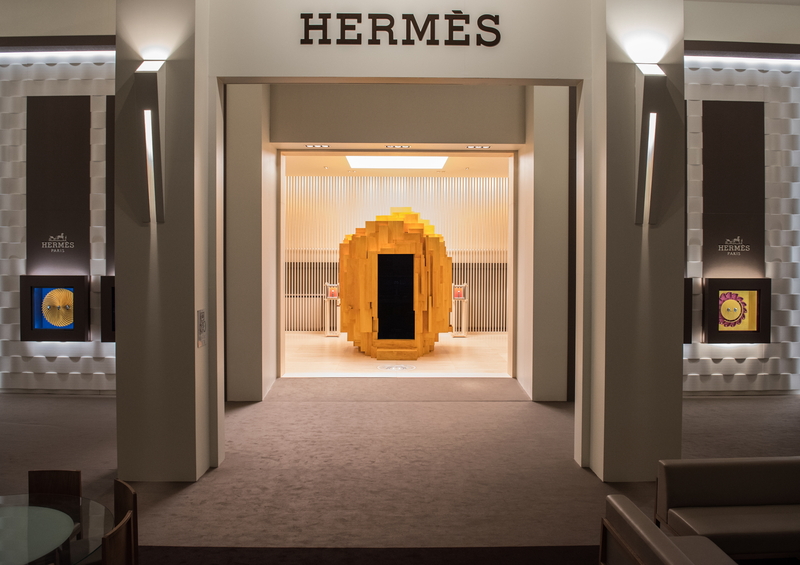 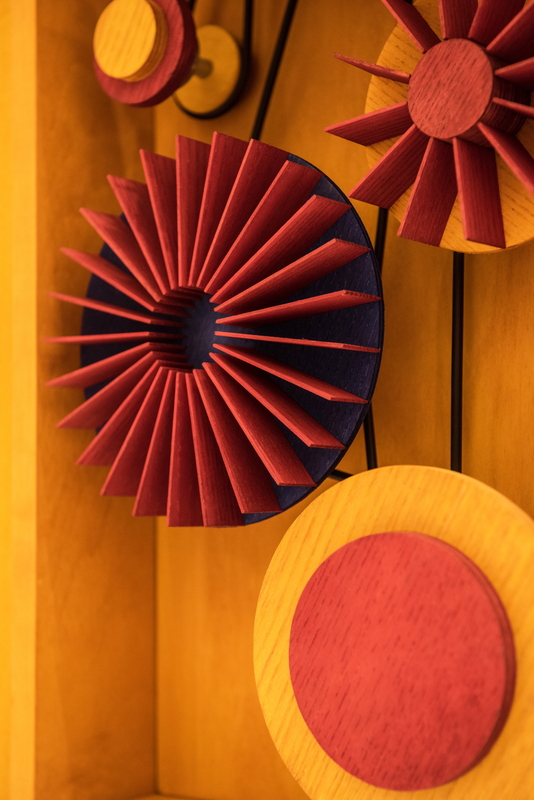 "We want to awaken a playful relationship with time through an object that is true to its function", explains Pierre-Alexis Dumas, Hermès Artistic Director. 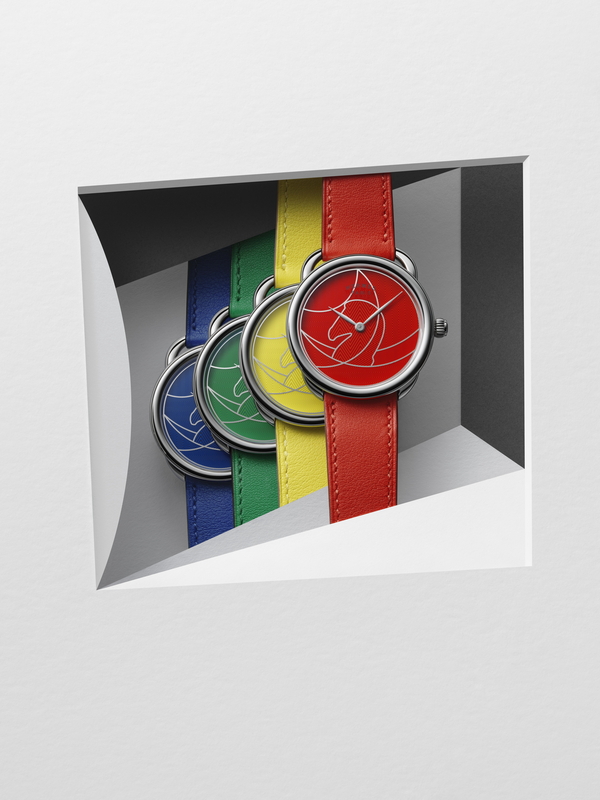 "We create timepieces stemming from the mastery of numerous skills and reflecting a serene perspective on time."